On November 1, 2015, Pei Qi “Paul” Ma, the owner and manager of an import/export business based in Xi’an, China, was arrested by police at Seattle-Tacoma International Airport as he attempted to board a flight to Las Vegas, where he was planning on attending a trade show. Ma was charged with smuggling components to unmanned air vehicles out of the United States without an export license. According to the indictment, in November 2012, Ma signed a $240,000 contract with an unnamed co-conspirator to to purchase 20 actuators for unmanned aircraft. The co-conspirator purchased the actuators for $219,000 from an unidentified U.S. aerospace company. The initial transfer of four actuators, which the U.S. government considers to be sensitive defense articles subject to export controls, were allegedly hand-carried by the unnamed co-conspirator from Los Angeles to a hotel in Xi’an, China where they were given to Ma. Additional transfers of equipment were sent via DHL. In U.S. v. Pei Qi Ma and Juan Deng, prosecutors argue that Ma and Deng, an employee at Ma’s import/export business, exported defense materials without approval from the federal government. The trial is set to take place in September 2016. This is not an isolated incident. The global demand for drones has made unmanned systems technology a valuable commodity. There have been a number of high profile legal cases over the past several years in which foreign agents and opportunistic merchants have exported U.S. drone technology without permission from the federal government. More often than not, the intended destination of these materials is China. The possibility that Beijing is behind these attempts is an ongoing source of concern for U.S. officials and law enforcement agencies. In September 2013, the New York Times reported that Chinese hackers were actively targeting American defense contractors—including drone manufacturers—in order to gain insights into U.S. technology that could be used by Chinese manufacturers. In a July 2015 press conference announcing a campaign to draw awareness to economic espionage, Randall Coleman, the head of the counterintelligence division at the FBI, said that there had been a 53 percent increase in economic espionage cases so far that year. This is not a new problem, nor are U.S. drone manufacturers the only target. In 2006, Menashe Ephraim, the owner of Emit, an Israeli company that manufactured drones, was arrested on charges of transferring drones to China without approval from the Israeli Defense Ministry. In 2014, an Australian drone manufacturer was forced to hand over thousands of dollars worth of hobby drones to Australia’s customs agency after attempting to export the hardware without a permit. Like Israel and Australia and many other countries, the United States views certain drones as sensitive defense technology, and has strict rules governing the export and import of these systems. However, this technology increasingly straddles the military and civilian worlds, and the exact definition of what is export-controlled under these laws is not always obvious. For example, it doesn’t take an attempt to export an entire drone to come into conflict with export controls; exporting subcomponents that could equally be used on a military or commercial drone—for example, autopilots—could also result in prosecution. While there have been some cases where the defendant was clearly working to subvert export controls, in other cases, it was carelessness or ignorance of the law as applied to drone exports that led to the charges. The majority of court cases regarding the potentially illegal export of drone technology usually involve a violation of the Arms Export Control Act (AECA), the 1976 law that gives the President the authority to regulate imports and exports and places restrictions on certain items and arms manufacturers. The AECA, however, only sets the conditions for legal transfers of materials in and out of the country. 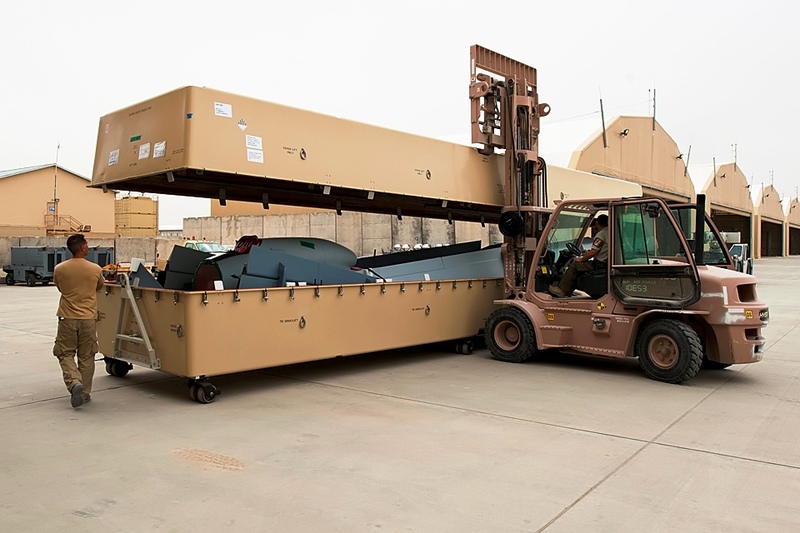 The provisions of the AECA are implemented by the International Traffic in Arms Regulations (ITAR), which classifies U.S. weapons technology and services according the U.S. Munitions List (USML), a list of every article and service that has military relevance. The ITAR also specifically limits exports of military goods to 26 countries, including China. In addition to domestic laws, the United States is a signatory to two voluntary international agreements that are intended to control sales of certain weapons that have the potential to destabilize international security: the Wassenaar Arrangement and the Military Technology Control Regime. For U.S. defense contractors wishing to sell drones overseas, there are two possible avenues: direct commercial sales and U.S. military aid. The State Department’s Directorate of Defense Trade Controls (DDTC) oversees direct commercial sales of military items to foreign entities, while DoD’s Defense Security Cooperation Agency manages the Foreign Military Sales program and military aid under the guidance of State’s DDTC. The DDTC is responsible for licensing exporters and conducting end-use monitoring to make sure that the recipient of the technology is not using it in ways that would injure the United States. 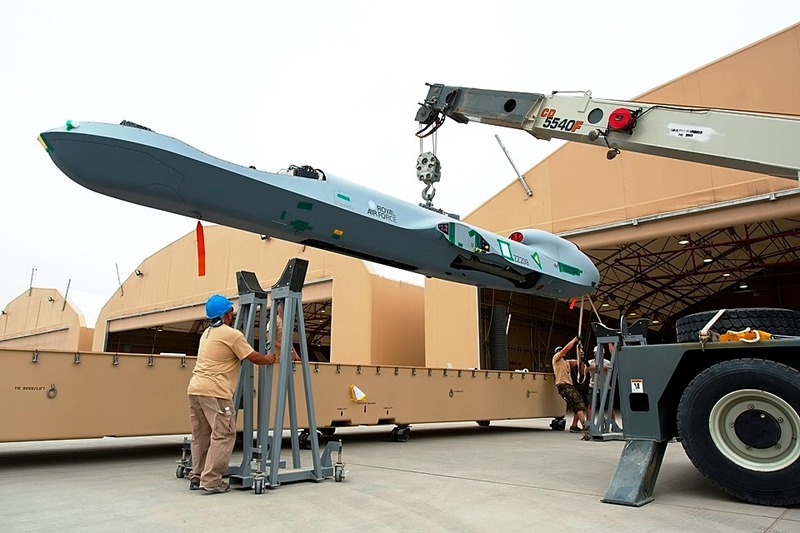 In February 2015, State issued an updated export policy for military drones that opened the door to potentially allowing more exports of the technology, while placing conditions on how the recipients may use the drones. The shift in policy was regarded as a response to the growing demand from U.S. allies for high-performing unmanned systems. Dual-use technologies—that is, systems built for civilian purpose but with potential military applications—are controlled by the Export Administration Act and regulated by the Commerce Department. Individuals and companies wishing to export goods from the United States are required to file commodity and shipment information on the Automated Export System, which is designed to automatically find any errors and inconsistencies in applications. Regulators have also long worried that dual-use technologies could pass through export controls undetected and be put to use by unfriendly countries or non-state actors. This issue became the subject of international attention in 2003 when Bruce Simpson, a New Zealand native and remote-control aircraft enthusiast, announced that he had built a cruise missile using parts ordered on eBay. Simpson’s project prompted a 2004 Government Accountability Office (GAO) assessment of export controls on cruise missiles and drones. The GAO report found that there was a significant gap in authority of federal government agencies to control the export of dual-use technologies precisely because there often existed legitimate civilian uses for the product and, in order to prosecute cases, investigators had to prove the exporter’s knowledge of the law and intent to violate it. A second GAO report in 2012 specifically addressed the issue of export controls on UAVs. It reiterated the potential risks posed by drone proliferation and urged the Departments of State and Defense to improve information sharing with other government agencies. Regulating drone exports can be a complex process, a fact borne out in the series of legal cases described below. The undercover agents first met with Shen and Huang Ling Chang, also a Taiwanese national and associate of Shen, in the Philippines in February 2011. In subsequent meetings in the United States, they agreed to purchase a kilogram of methamphetamines from Shen for $70,000. In August 2011, the drugs arrived from Taiwan at Port Newark-Elizabeth Marine Terminal hidden in several bags of tea, which were in turn placed inside a desktop computer. Following the discovery of the drugs, the undercover agents continued to exchange emails with Shen and Chang regarding additional import deals. In October 2011, the undercover agents met the two men in Las Vegas. Over the course of several meetings, Shen admitted to the agents that they were shifting their interest from delivering narcotics to acquiring military technology. He revealed that an associate—whom he identified as a “secret assistant” to a high-ranking official in China—desired to purchase a Northrop Grumman E-2 Hawkeye, a manned carrier-based early warning aircraft. When asked by the agents about the client, Shen said that they worked for the Chinese government. In subsequent meetings in Las Vegas, Shen revealed to the undercover agents a list of other platforms he and Chang would like to acquire for their client in China. The list included the RQ-4 Global Hawk and the MQ-9 Reaper. At this point, Shen and Chang asked the agents to communicate with him only in code due to the sensitivity of the issue. In December 2011, the agents told Shen and Chang that they could obtain an Aerovironment RQ-11B Raven, a small reconnaissance drone, and the manual for an RQ-4 Global Hawk. In a meeting on February 20, 2012, the agents asked Shen and Chang how they planned to take the drone and documents out of the country. Shen responded that he would either use scuba divers who would swim out to a ship docked offshore carrying parts of the drone, or use a remote-controlled submarine, techniques he said he learned from drug smuggling. A few days later, during a visit to New York on or around February 24, Shen and Chang were shown the RQ-11B Raven drone and the RQ-4 Global Hawk documents. After taking pictures of the items, they were arrested by law enforcement agents. The hapless drug dealers-turned-spies were charged on April 25, 2012. On September 22, 2014, Shen and Chang pled guilty to the charges. On April 21, 2016, the Department of Justice charged Amin Yu, 53, of Orlando, Florida with 18 counts for allegedly exporting components for submersibles—including unmanned undersea vehicles (UUV)—to China without obtaining approval through the Commerce Department’s Automated Export System. The indictment alleges that during her time in the U.S., Yu created two companies, Amin International in Ohio and IFour International in Florida, that she used to obtain and export components for UUVs and other unmanned maritime vehicles to researchers at Harbin Engineering University (HEU) in northeast China. The indictment also charges Yu with espionage and money laundering. According to the DoJ indictment documents, prior to coming to the United States, Yu, who is a Chinese citizen and permanent resident of the U.S., worked at the College of Automation at HEU. Originally formed as the People’s Liberation Army’s Military Engineering University in 1953, HEU is now almost exclusively focused on maritime sciences, including unmanned undersea vehicles. While at HEU, Yu worked with a professor—identified in the documents only as “Co-Conspirator A”—on a project to develop the navigation systems for underwater remotely-operated vehicles (ROVs). In 2009, Yu moved to Orlando, Florida where she registered a company called IFour International. In late April 2009, Co-Conspirator B, an associate professor at HEU, offered Yu four contracts to procure underwater acoustic locator devices and underwater cables and connectors for HEU. In an email exchange with one U.S. reseller of the equipment, Yu said that the “equipment will be use [sic] on AUV,” an autonomous underwater vehicle. A few months later, Yu emailed an invoice to a company in China for $107,516, the total value of the items requested in the four contracts. In October 2009, Yu shipped the equipment to China using UPS. According to the indictment, instead of putting the true value of the items on the UPS invoice, Yu claimed that the shipment contained three items, each worth $2,499.99. The indictment alleges that this was because Yu intended to avoid filing an Electronic Export Information (EEI) form with the Commerce Department using the Automated Export System. The Commerce Department requires individuals exporting items with an estimated value of $2,500 or more to file an EEI. By maintaining that her items were worth less than $2,500, Yu was able to claim an exemption to this requirement. Between 2009 and 2014, Yu made a total of 6 shipments to China. In addition to UPS, Yu sent shipments via FedEx and even the U.S. Postal Service. Between March 2011 and November 2013, Yu allegedly received wire transfers totaling nearly $300,000. These transfers were the basis for four counts of international money laundering. In a post on the Export Law Blog, however, Clif Burns argues that the government’s case against Amin Yu is not as strong as it is made out to be. According to Burns, Yu’s failure to account for the full value of the goods might have actually been an attempt to avoid Chinese import taxes, and may not necessarily point to any nefarious activity. Moreover, Burns writes, the items that are alleged to have been exported are considered by the Commerce Department to fall under a catch-all classification not subject to strict export controls. Burns argues that the government’s case is propped up on the charge that Yu was illegally acting as a foreign agent as well as by the fact that the items in question are believed to be parts for underwater drones and thus subject to more intense scrutiny. U.S. v. John Reece Roth and Atmospheric Glow Technologies, Inc. It doesn’t always take the attempted export of actual drones to fall on the wrong side of the Arms Export Control Act. In 2009, John Reece Roth, a former professor at the University of Tennessee, was sentenced to 48 months in prison for violating the AECA. A former scientist at NASA, Roth is an expert in plasma technology; he holds 11 patents and is the author of Industrial Plasma Engineering. Roth was convicted of conspiring with a company called Atmospheric Glow Technology to export technical information related to advanced plasma technology to China. According to court documents from one of Roth’s appeals, Atmospheric Glow Technology received a 2004 contract to develop plasma actuator for controlling small unmanned aircraft, a project to which Roth served as a consultant. The Air Force granted AGT a second Phase II contract in 2005 worth $750,000. According to the criminal complaint, in 2004, after receiving the Phase I USAF contract, Roth arranged for Xin Dai, a graduate student from China at the University of Tennessee, to help work on the project without receiving permission from the Directorate of Defense Trade Controls at the Department of State. During the course of their collaboration, Dai received technical information relating to Phase I and II of the project. Even though the data was not physically transferred outside of the U.S., this correspondence constituted an export and a violation of the AECA. In 2006, Roth traveled to China to give a lecture and took with him data from the second phase of the project, as well as a proposal for additional funding that contained export-controlled information. The proposal, which was intended for the Defense Advanced Research Projects Agency, contained the results of research associated with the USAF plasma project. On September 3, 2008, a jury found Roth guilty on all 18 charges. Roth appealed the decision, arguing, among other things, that the plasma actuators were not on the U.S. Munitions List and, during the time that he worked on the project, the goal was to apply the actuators to commercial, not military, aircraft. Moreover, Roth argued that while he was in China, he never opened the electronic files containing the DARPA proposal and was not aware that it contained export-controlled information. However, an appeals court found against Roth on both of these counts. Even if the research explored the potential for civilian applications at some point, the project constituted a military article due to the fact that the goal of the research was to produce a military system. The court found that since Roth knew that the DARPA proposal was based on Phase II research and contained export-controlled information, there was sufficient evidence to believe that he did knowingly export this information by visiting China in 2006. The Roth case propelled a debate on academic freedom and served, for many in the academic community, as a warning of the potential pitfalls in working on national security-related projects. The Department of Defense is one of the largest federal funders of university research; in April 2016, for example, it awarded $162 million to fund 23 research programs at 54 academic institutions over the next five years. Unlike some of the research projects that originate in one of the Defense Department’s labs, the research conducted as part of the plasma project and at other academic institutions is not classified. It was found, however, to be under certain constraints imposed by the AECA. Roth, who was in his 70s at the time of his conviction, remains the only university professor or administrator to be prosecuted for violating the AECA. There will be cases where the export contains technology that has both civilian and military applications. In February 2009, Yaming Nina Qi Hanson and Harold Hanson were indicted on charges of conspiracy and violating export laws for attempting to export autopilots for drones to China. The Hansons claimed that the MP2028 Miniature UAV Autopilots, which they bought from a Canadian company called MicroPilot, were intended for a model aircraft hobby club in Xi’an, China. The government argued that the autopilots were in fact bought by the Hansons at the direction of Fang Yu, the president of Xi’an XiangYu Aviation Technical Group, an aviation electronics and software company in Xi’an. According to emails and interrogation summaries included in the criminal complaint, both Qi and Harold Hanson believed that the autopilots would be used, at least to some extent, for non-military purposes. In a June 27, 2008 email exchange with a MicroPilot representative, Harold Hanson said that the end users of the autopilots in China “could really have use [sic] UAV support in assessing and reassessing earthquake damage, flood damage, etc. this year.” In an interrogation with federal investigators, Qi Hanson said that she believed the drones would be used for “humanitarian purposes” and model aircraft clubs. The MicroPilot representative warned the Hansons that, if they intended to export the items from the U.S., they would be required to obtain an export license. Instead, Qi Hanson proceeded to smuggle the technology out of the country. According to investigators, she flew first to Germany where she handed a suitcase containing the autopilots to an associate, who carried it to China and put the suitcase on a flight to Xi’an, where it was picked up by one of Mr. Fang Yu’s personal drivers. The Hansons eventually settled the case with the government, each receiving a 15-year ban on export permissions and, in Qi Hanson’s case, a 105-day jail term. From this scenario, it is clear that the negative persons are getting themselves involved in using drones for illegal activities. Here, it is clear that the insiders of the company are involved in these nation harming activities. The actuator deal, which worth a huge amount is being carried out without any hint of the government; is really a big matter to head upon. The violation of the Arms Export Control Act can easily be seen here (and that’s all without any surveillance). To put an eye on the drones (used for any purpose), drone flying guidelines by FAA was made which are required to be followed strictly. To control illegal activities, the FAA also made some amendments in its commercial UAS drones. The changes in the guidelines were made last year, February.